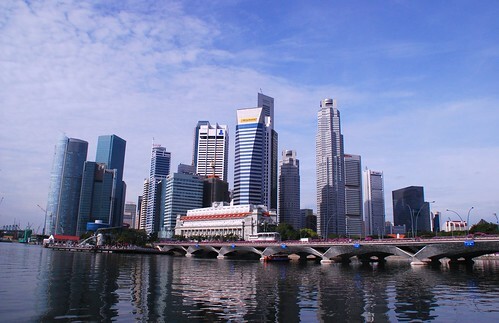 Multilingual Singapore, originally uploaded by ZackTwin. Today, I went to a Malay cooked food stall for lunch. The Malay lady asked me ‘Makan?’. I nodded and she asked me what I wanna add, I pointed and said ‘Mutton (Eng), Tauhu (Malay) and TauKay (Chinese) ... ‘ She looked at me and I think she was confused. She might be thinking like this guy looks like Malay but he is not a Malay, maybe he is Chinese.